Every Chinese family is familiar with this dish as it is so simple to prep, quick to cook and most of all its healthy and extremely nutritious. The broccoli is crunchy in texture and extremely good for your health. Why? Read the 8 beneficial reasons below and start eating your broccoli. • Wash, cut broccoli into florets. Bring a pot of water to boil. Once bubbling drop florets and boil for 4 minutes. Drain and set aside. • Heat a wok on high heat setting. Add oil, once hot, add crushed garlic cloves. Let the garlic infuse the oil for 7 seconds. 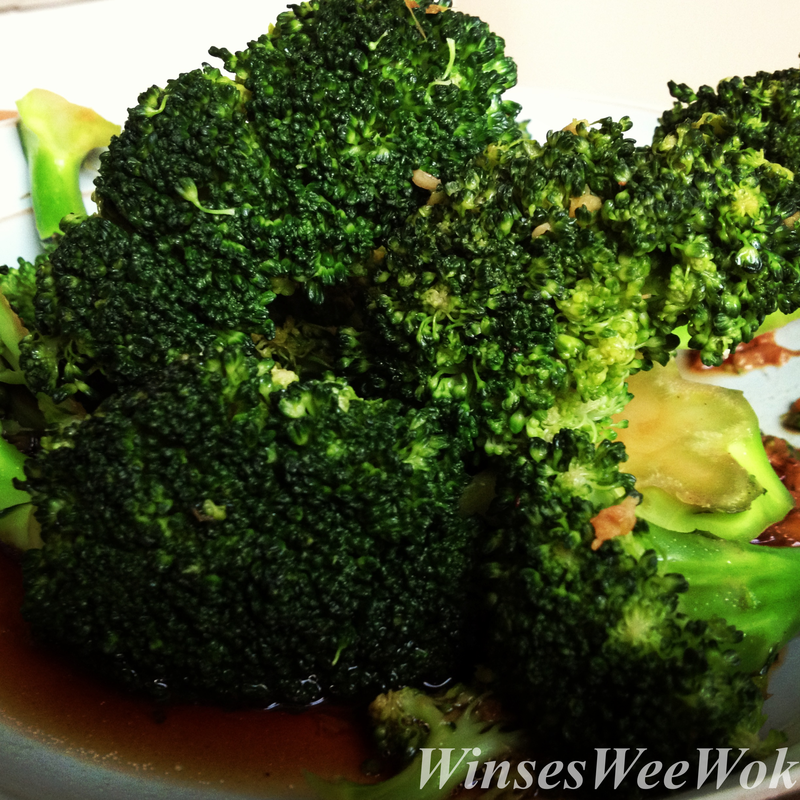 • Add the broccoli florets, soy sauce, sesame oil and toss for 10 seconds, serve. 8 reasons why you should include more broccoli in your diet. Broccoli contains high levels of both vitamin K and calcium both are important for prevention of osteoporosis. Broccoli also contains magnesium which helps to regulate blood pressure. Broccoli is a good source of vitamin A, carotenoid lutein which helps to prevent macular degeneration and cataracts. The carotenoid lutein also prevents thickening of arteries. Help to fight against stroke and heart disease. Broccoli contains a high amount of potassium, which helps maintain healthy brain function as well as nervous system. Broccoli contains indole-3-carbinol, an antioxidant and an anti-carcinogen compound found to hinder the growth of prostate, breast and cervical cancer. Broccoli is high in fibre, which prevents constipation and aids in digestion. is an antioxidant necessary for fighting against free radicals which in return boost the immune system.